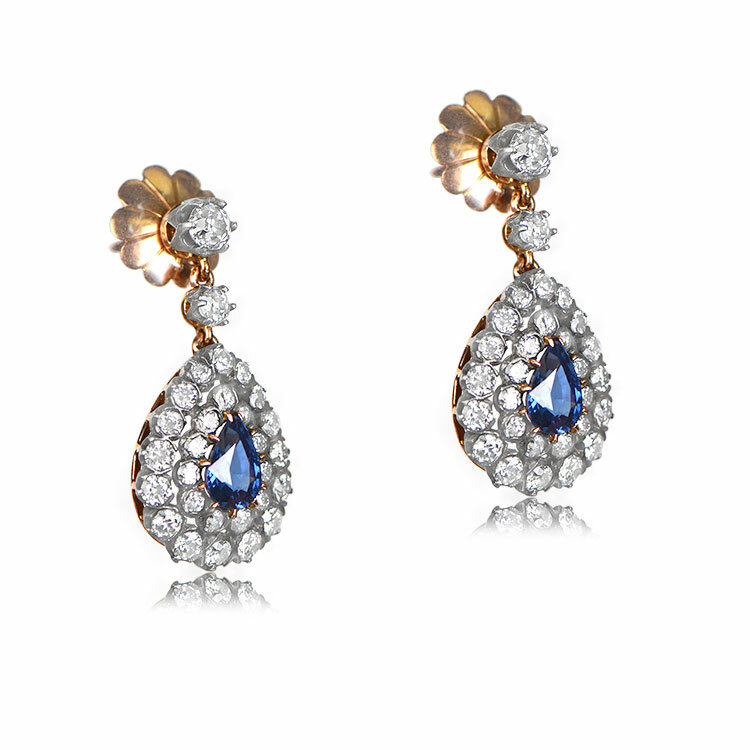 A stunning pair of unique natural sapphire earrings set on silver and 18k rose-gold. 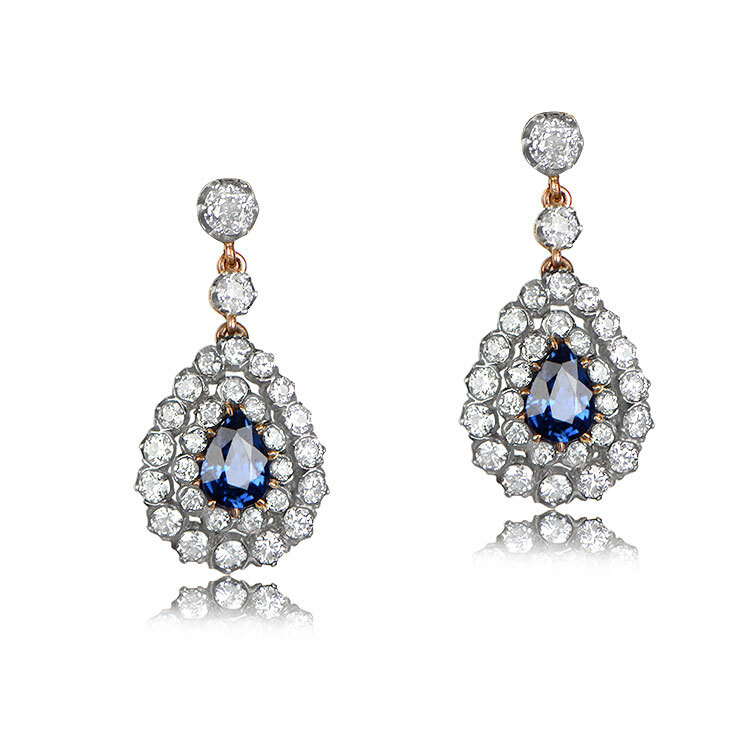 These beautiful earrings have approximately 3.00 carats total weight of diamonds and 2.00 carats of of natural sapphires. 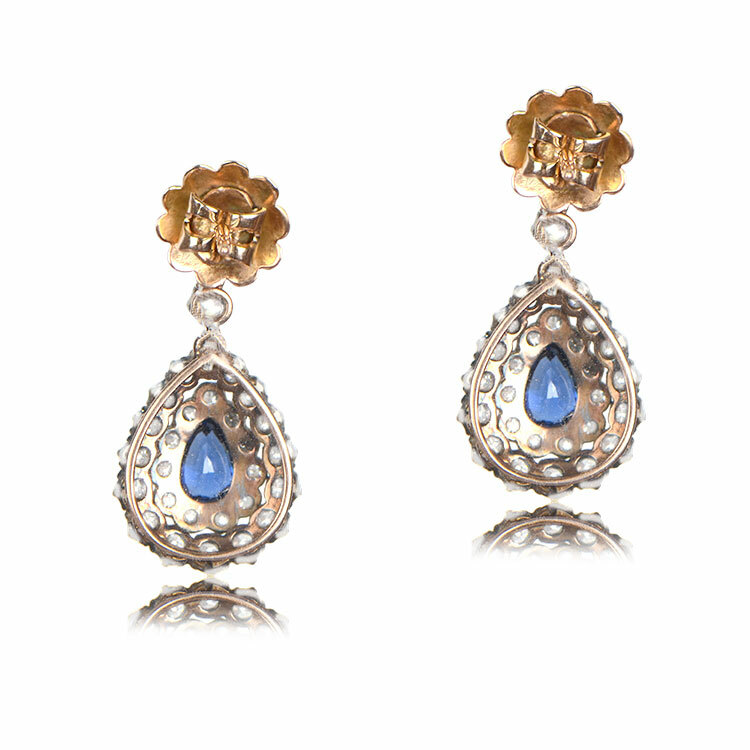 Two pear shape sapphires and fifty eight antique round diamonds adorn these earring. The diamonds are approx H color and VS-SI clarity. The earrings are 1.25 inches long. 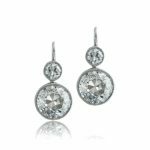 If you have any questions about our Colburn Earrings, feel free to contact us. 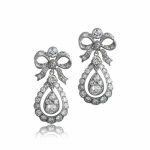 SKU: GS588 Category: Vintage Earrings - Contact us and request additional pictures.